This month I've decided I want to start joining in with more more of the wonderful linky's around, and the Me & Mine linky is one I've been meaning to join in with for ages. I'm very aware that in almost my photographs, either myself or Jon is behind the camera - there are so few of us together as a family. So I like that taking part in this linky will encourage me to make sure I've snapped at least one family shot per month! This month has been all about quality time together as a family. 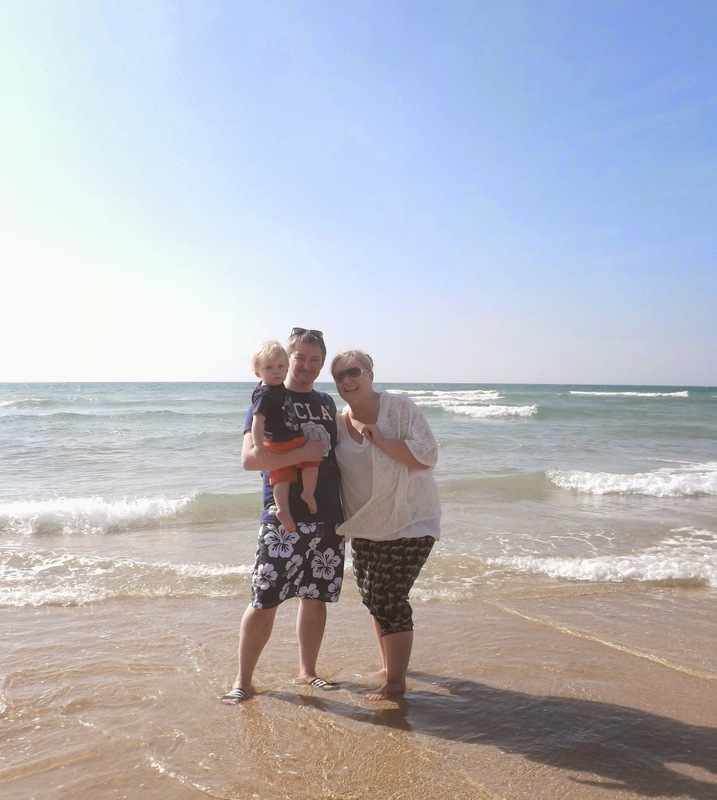 We've enjoyed a wonderful night away at a beautiful hotel in Woolacombe, North Devon and a fantastic fun-filled family holiday in Newquay staying with Parkdean. I also had some Mummy time away at Britmums Live which I enjoyed but I was happy to get home again. We love relaxing on the beach in the sunshine, and we're so lucky to live in Devon where there are so many beautiful beaches right on our doorstep....we hope that July will be full of many more hours spent playing on the sand.